Today I'm sharing with you a birthday card I made for my sister who is turning 45 tomorrow! I'm really excited because this is also the card that I will be submitting for the My Favorite Thing Card Challenges! It's my first time joining in the fun for the challenge and here the sketch for this week. It seems like it's just such an ideal layout for a nice birthday card (: And because it's my first time joining in the challenge, I read the rules and regulations a couple of times just to be sure that I'm doing the right thing. 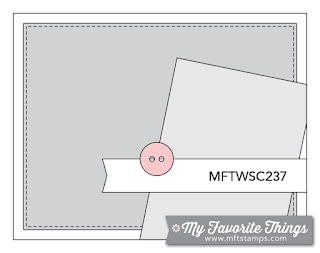 My Favorite Thing Card Challenges website says if I were to use MFT stamps and/or dies in your project, I’ll receive an extra $5. Cool! I've always loved most of the Birdie Brown series of stamps from MFT and I've been waiting for the chance to colour up Birdie Brown Sweet Birthday Wishes for a long time. Some how I'm always been distracted by other new stamps! I coloured her with my Copic markers with my favourite skin tone colours E50, E51 and E53. For the hair I used E42, E43 and E44. 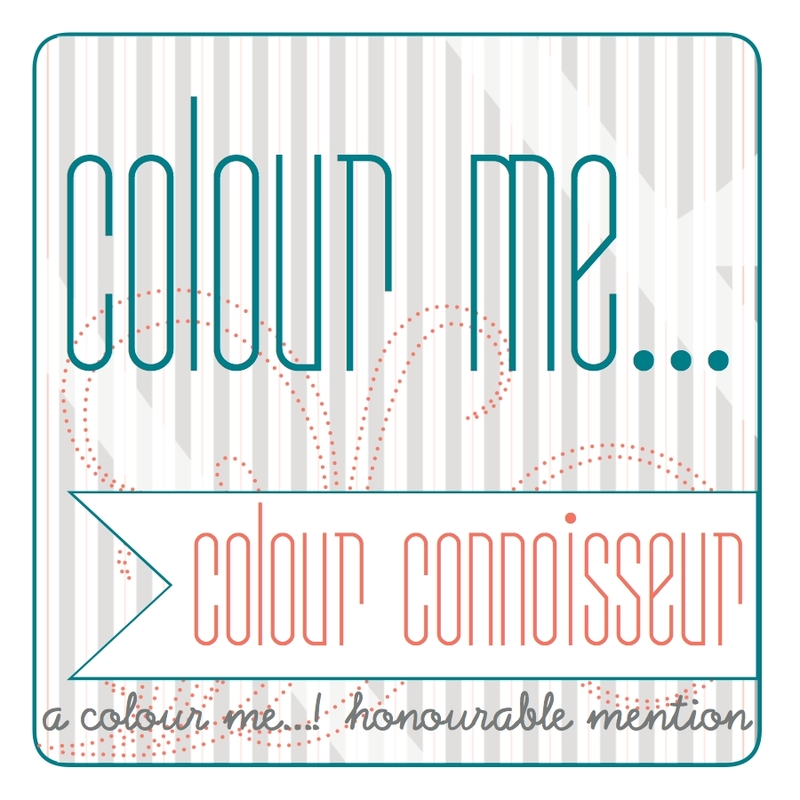 For the cupcake, I couldn't quite recall as I have yet to cultivate the habit of recording the colours I've used! As for the other components of the card, the cute banner on the top of the card is from La-La Land Crafts. The "Happy Birthday" is cut out from my Silhouette Cameo. That's about it. It was really fun constructing the card and I can't wait to see what the next sketch will be for the next MFT Card Challenge! What an awesome job! I first saw this on Instagram and had to go to MFT and look for your card there. Then I realized your started a blog! This is an adorable card! I love every inch of it! Hi Pocono Pam! You found me! :) Thank you so much for leaving such a encouraging comment on my new blog and I'm so glad you love the card! I guess I'll be smiling the whole day! Very cute card and colors. Thanks for playing along with the Tiddly Inks Challenge this week. Thank you for coming by Damaris V. (: I'm looking forward to more Tiddly Inks challenges! What a sweet, sweet card!! I especially love your colours but your whole card is just gorgeous!! 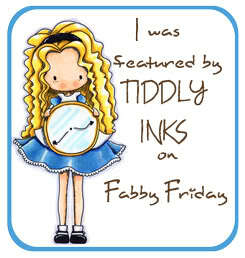 Thanks for playing along with us this fortnight at Tiddly Inks!! Thank you very much Melinda for your encouraging comment! Glad that you love my card ^_^ I'm really looking forward to have more fun in Tiddly Inks challenges! Just perfection! The coloring is amazing and I love the banner and papers, perfectly done! So glad you played along the week!